Portland YouthBuilders does powerful work, so getting to see the impact they have on a personal level was a privilege. One of their recent graduates, Juli, graciously told her story for the film. The imagery of leaves and trees throughout the video were filmed at the park where Juli “used to do her dirt,” as she describes it. Instead of simply portraying a specific place, the imagery is meant to bring a sense of life, growth, and change. Juli’s courage and determination is inspiring. I read this article and found it very interesting, thought it might be something for you. 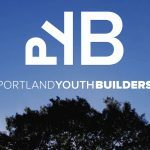 The article is called Portland YouthBuilders – Fundraiser Video and is located at https://atelierpictures.com/stories/video-projects/portland-youthbuilders-fundraiser-video/.